On the Road..... and Then...? : KA-Bloooooo ieeeee !!!!! Ok, so I knew the Trailer tires might be iffy but I pressed on, anyway. Should have just changed the whole set while sitting for a month just a block from a good tire dealer in Champaign, IL. Sometimes I am just too tight for my own good. Heck, I really can't complain, though. These BF Goodrich LT235/85 - R16 tires were made in 2006. 7 years for an RV tire with virtually 100% tread left is still pushing it. No cracking or glazing. No UV damage but sitting loaded for many months at a time and then traveling 500+ miles to sit again, is very hard on the best of tires. I have to say that I am very impressed with these tires. That age and those circumstances and the other two still hung in there very overloaded. Having now lost one tire on each side on the highway has pretty much guaranteed that the remaining tires, no matter how good they were, aren't anymore. 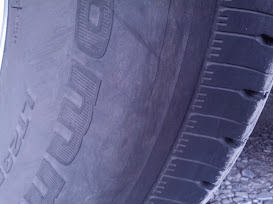 I can see a very slight linear crack parallel to the tread on the sidewall of the tire right behind the last blowout, indicating that the sidewall has really been overstretched and the surface rubber has separated. Had we not stopped when we did I am sure that I would have lost that tire, too, in a few more miles. A Couple of things I have been monitoring were pressures and temperatures. 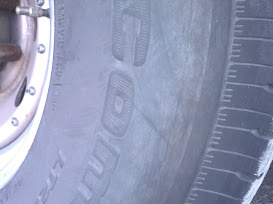 Using my Infrared digital thermometer with real time readout, I immediately checked each tire's temperature around the sidewall and along the sidewall around the tread seam. Each of these older tires have warm spots that varied 6 degrees or less from the rest of the casing once they had been rolling awhile. On a 93 degree day the typical sidewall temps were 115 - 119. Hotspots were 121 - 125. The tread temps were running more like 125 - 132 with the higher numbers on specific tires and at hotspots but most of the tread temps were pretty even from tire to tire. I run 80psi cold in them all. That is the max pressure for these tires and since they have been scaled at 90% of their max rating, this is the right pressure according to the manufacturer’s load/pressure/speed tables. The good news is that I found a local tire dealer, Magnum Automotive in Newton, Iowa, that can get me 6 new tires by tomorrow and at a better installed price than Sam's Club. I am all for that. I won’t tell you it was fun changing that blown tire but fortunately, I discovered it in a rest area and it was on the shady side of the trailer. Doing it in 95 degrees in the shade on hot concrete is not a recreational activity but it is part of the journey. I had just checked the tires less than 50 miles before and all was well so that tire had blown awhile back. After I stopped in the rest area, a guy came up and said he had tried to get my attention quite a ways back, so it blew out way back there. The stresses on the tire could have been exacerbated by the strong cross wind from the driver’s side which added additional loading on the curb side tires. I Just don’t know for sure. Other than cost (pay me now or pay me later, thing) it only delays us a day which we are trying to lose a few, anyway, so we don’t hit Jackson Hole, Wyoming before Labor Day. 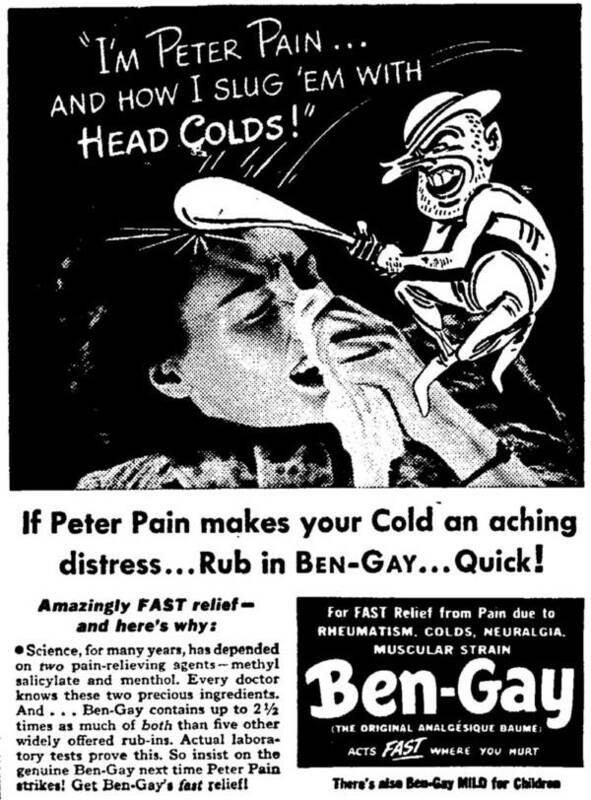 yes, it could have been much worse. We could have been in the wilds of Montana in 100 degree heat and many miles to anything that could help… but it didn’t… this time so maybe this was close enough that I won’t let the risk get so high ever again. The Kellogg RV Park is a pleasant place other than the road noise (upwind of us to the south). Level spots, a few trees for smaller rigs and good water/power/sewer for $20/night – Good Sam’s price. The tire dealer is about 9 miles away so when he calls we should be able to get over there fairly quickly in the morning. Yaay! He called about 3:30pm and has the tires and verified the dates: last week in 2012. Not as current as I would like but current enough. We will get them installed in the morning and then head on out.